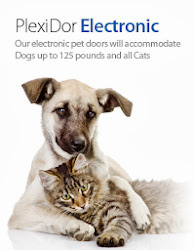 Plexidor Pet Doors: Find the right size pet door! fits most pets up to 40 lbs. Finding the right size of anything can be difficult, even when it comes to humans. Speaking of pets, the terms small, medium, and large can mean almost anything, depending on the frame of reference. 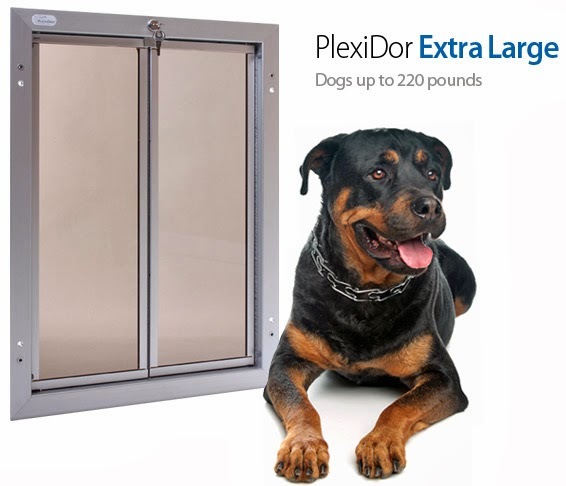 The PlexiDor pet door comes with a 90 day unconditional money back guarantee, so getting the wrong size doesn't have to be a disaster. 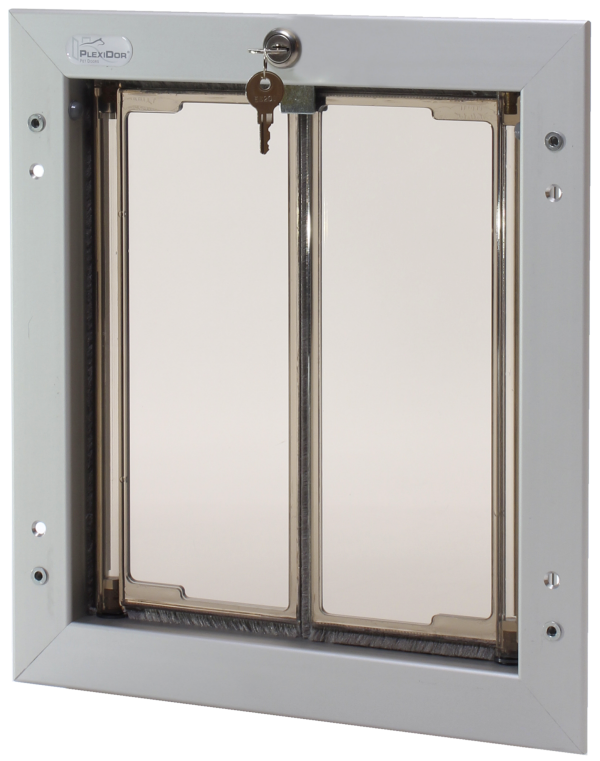 It's still easier to get it right at once, particularly before making a hole in the door or the wall. Don't be too worried if the door looks a little small; dogs generally duck their heads while going through, so the opening doesn't have to be as tall as the pet. not be flush with the floor. The small PlexiDor is small. 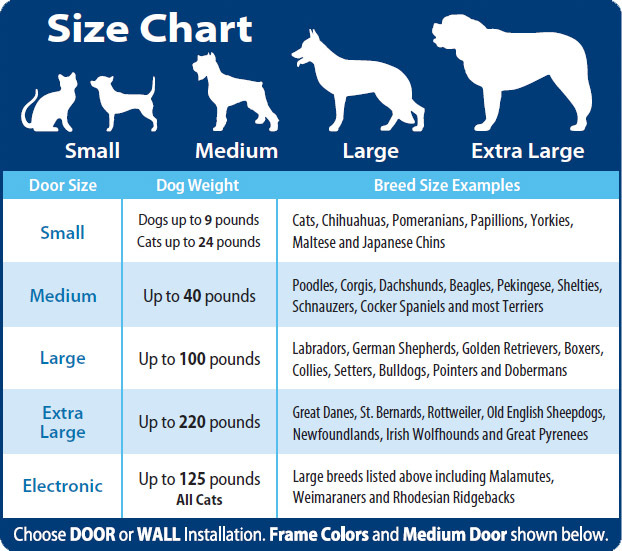 It's useful for dogs up to nine pounds, and cats up to twenty-four pounds. 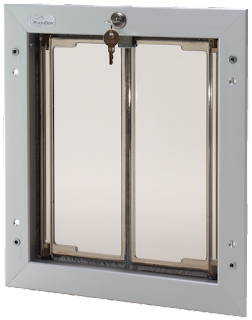 If you're uncertain whether to pick a small or medium door, the Plexidor website can put you in contact with a helpful reseller. You can also e-mail us to discuss and get advice.